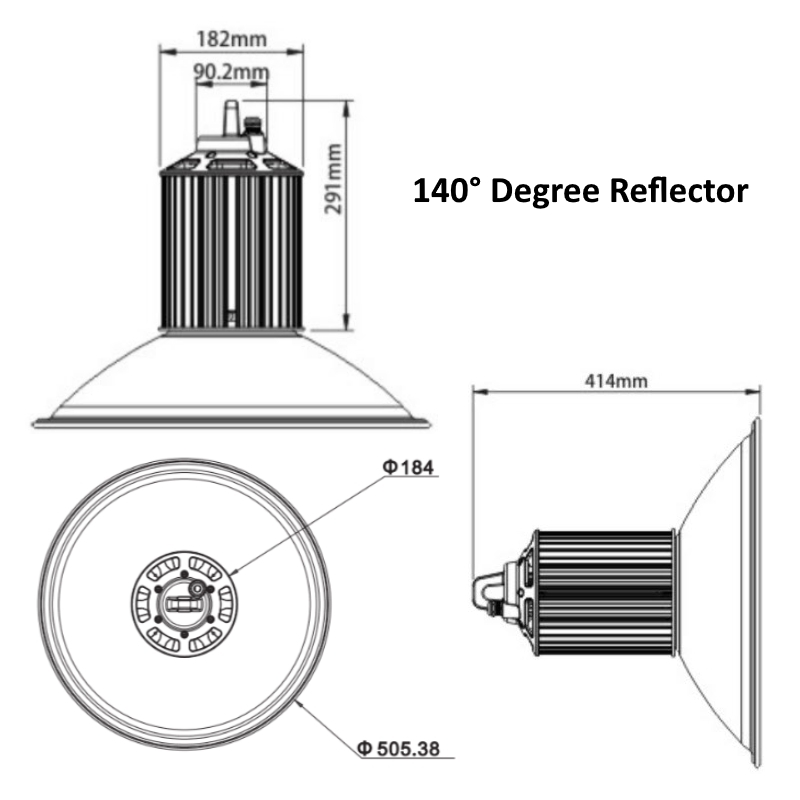 High/low Bay LED lights designed specifically for installations requiring high level light mounting. With industrial application in mind as a replacement for 250W SON fittings or 150W MHL Metal Halide, energy-efficiency, low luminous decay and maintenance were key factors in luminaire design. Long life means annual re-lamp, expensive lift equipment and inconvenience is negligible, as well as a much sought after energy saving of 75%. 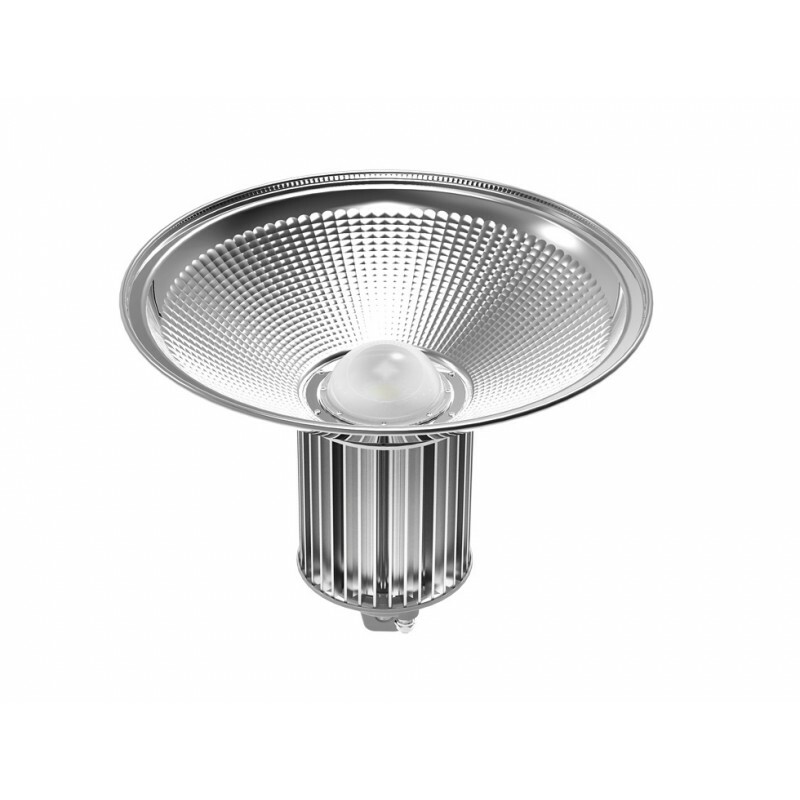 Epistar SMD LEDs combined with a high efficiency driver Meanwell Driver, this luminaire provides a lumen output of up to 10,000lm hence ideal for warehouses and storage areas that require 150lux from high level mounting. Instant illumination and flicker free further suit this product to manufacturing and warehouse environments as also compatible with PIR movement sensors - enquire for further detials. 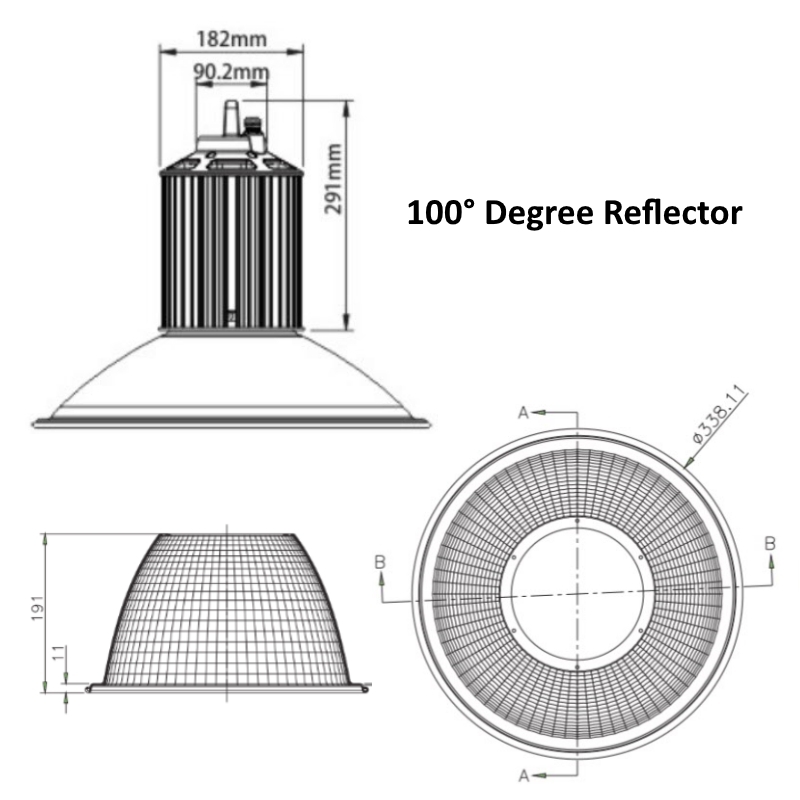 The product comes with a choice of 2 high output aluminium reflectors: 140° for 6-8m and 100˚ for 8m+, as well as integral mounting hook to retro-fit to existing mounting. 120W IP65 HIGH POWERED LED Flood Light [INDUSTRIAL HEAVY DUTY GRADE FLOODLIGHTS] Utilising our advan..
180W IP65 HIGH POWERED LED Flood Light [INDUSTRIAL HEAVY DUTY GRADE LED FLOODLIGHTS] Utilising our a.. LED High Mast Light 300W / 36,000lm IP65, IK09 [Symmetric / Asymmetric]. 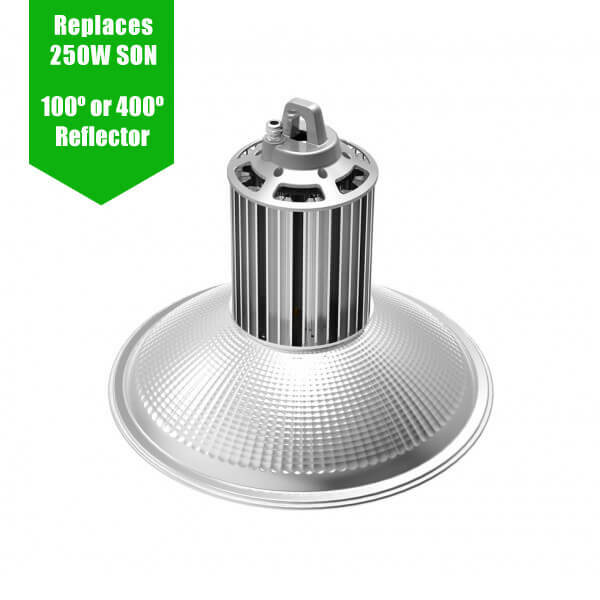 Ideal Replacement for 600W .. LED High Mast Light 400W / 48,000lm IP65, IK09 [Symmetric / Asymmetric]. Ideal Replacement for 600W ..